Mittals Group has become a name known for its commitment towards quality, client-centric approach and professional handling of every venture it takes up in the real estate sector. The company has committed itself to the development of residential townships, villas and commercial projects across India. Mittals Group always follows the motto of providing classy and comfortable homes to its clients without compromising on the quality. In 1976 Mr. D.D. Mittal established a small solvent extraction unit in Punjab. Later in 1990 he shifted his focus to the real estate sector and created marvelous townships, group housing complexes, multiplex, hotel and malls. Real estate players like Ansal API also joined hands in providing help in development of certain township projects. Mittals Group has four different business verticals that include edible oil, distillery and infotech, with real estate being the fourth. Mittals Group is credited with the development of various townships, residential projects and commercial projects in states of Punjab, Haryana and Himachal Pradesh. The group is so expansive that it has more than five sister companies. 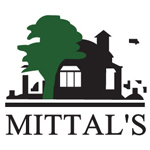 Mittals Group has completely dedicated itself to the vision of growing in strength, numbers and reputation with a strong commitment to fulfill the dreams of its clients by creating hallmarks in the real estate sector with unity, improvisation and uniformity as the trademark. The commitment of the Mittals Group to all their clients involves creating an undeniable value for the client in the assets they develop.